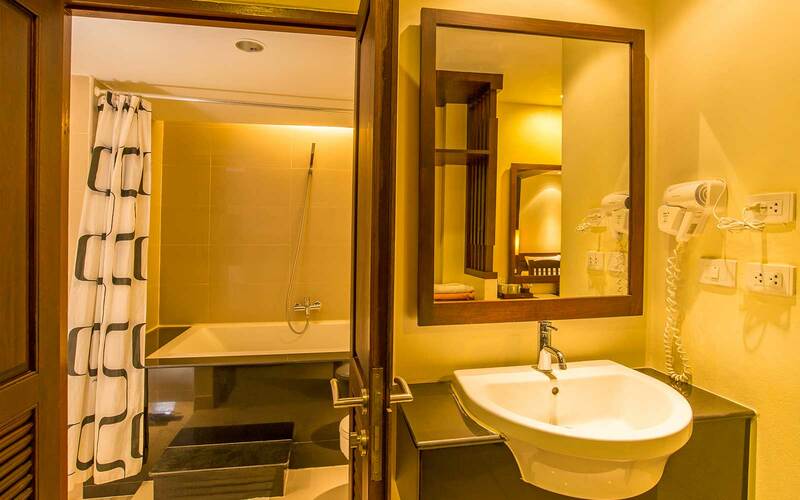 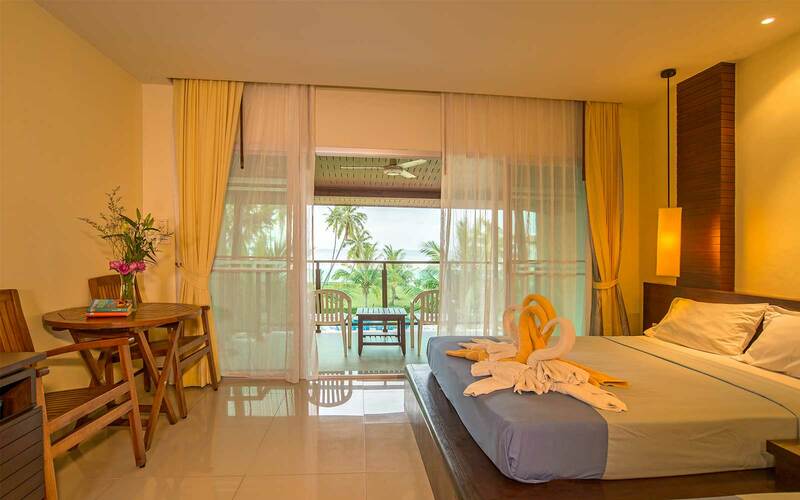 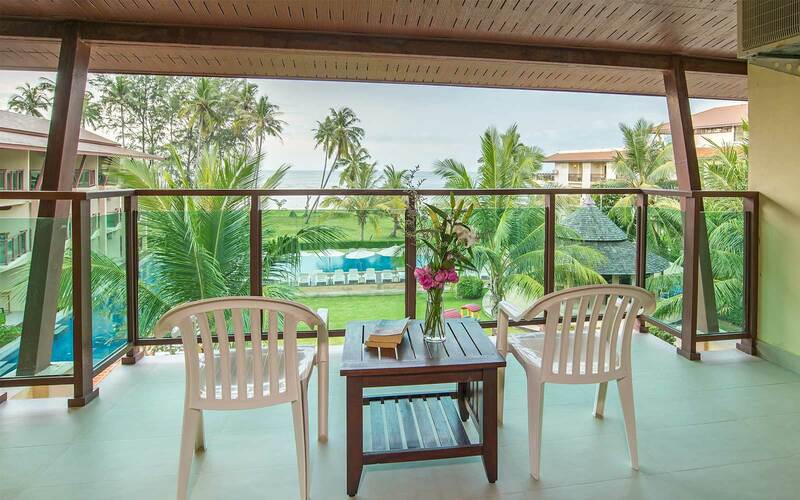 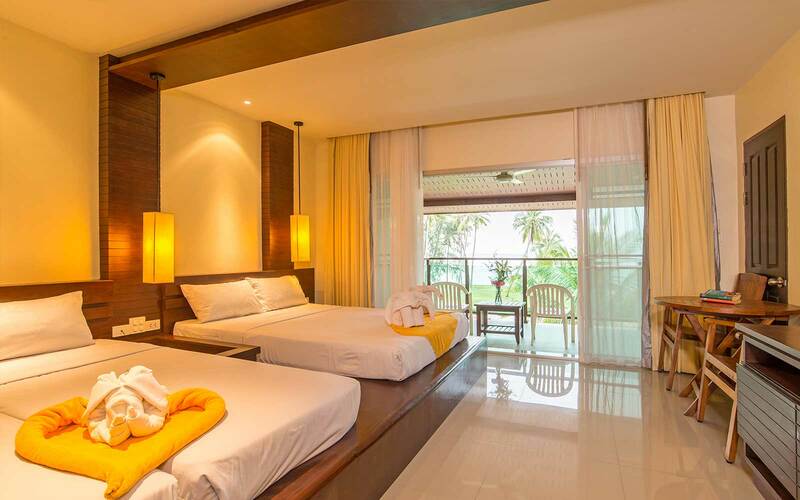 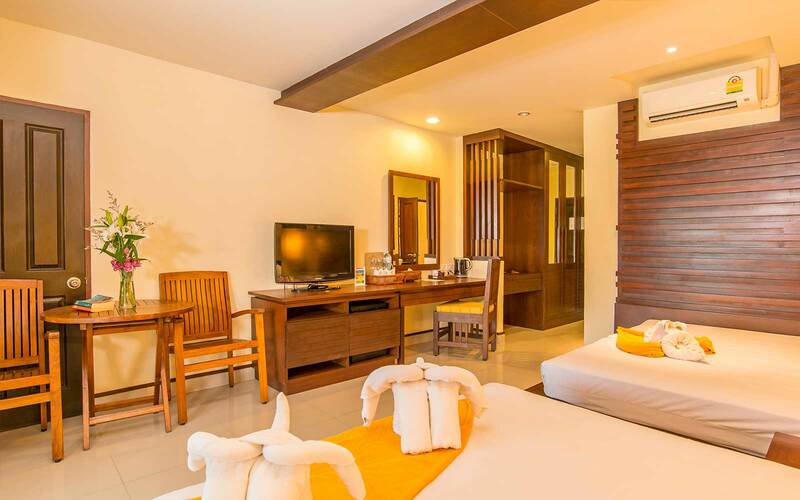 Offering three bed room in this room with 45 square meters and a specious balcony/terrace and sitting area overlooking the state of the Andaman sea view. 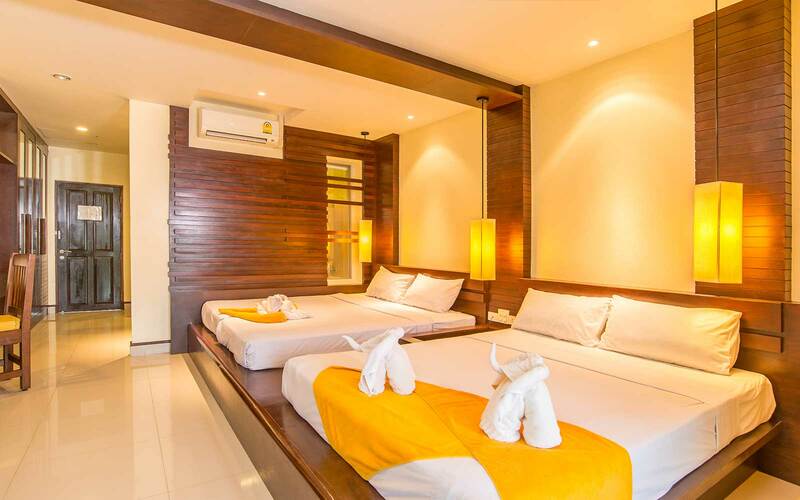 Decoration by double bed and two single bed with air condition control by remote, private bathroom with bath tub, hot and cold shower, satellite TV., telephone, minibar, hair dryer and safe deposit box also wireless internet all area. 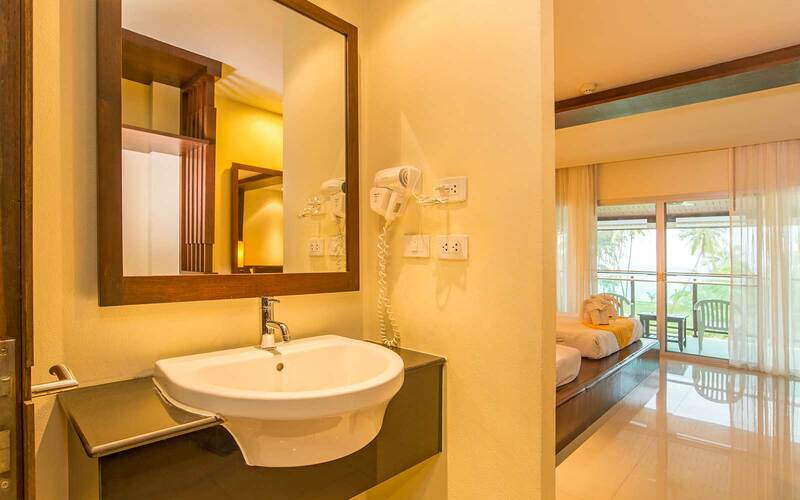 Prices Start : 2000 – 7000 THB.